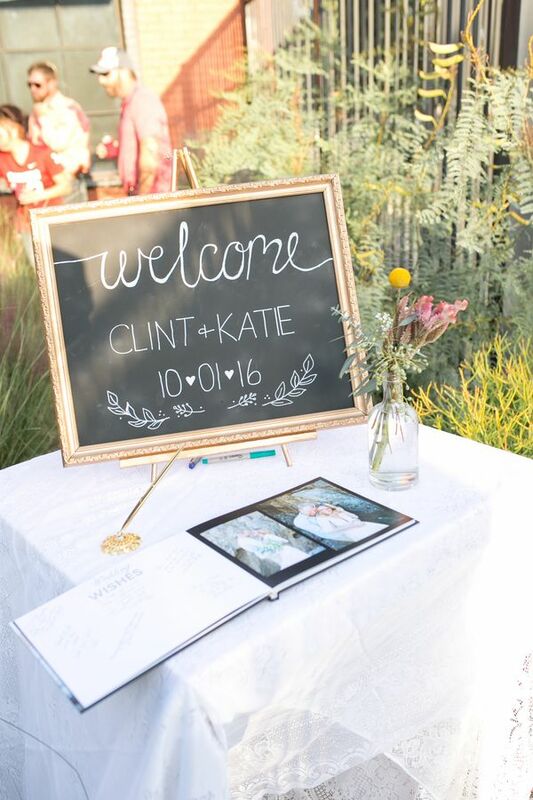 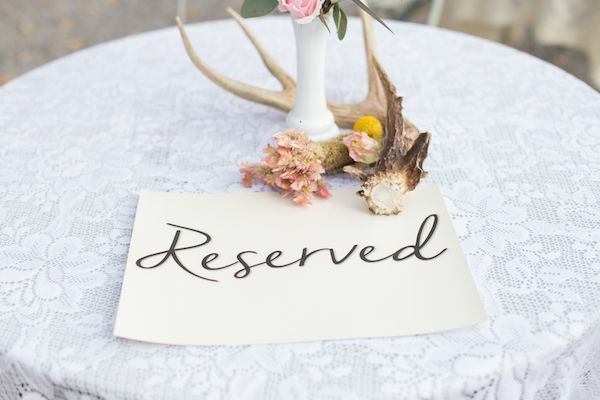 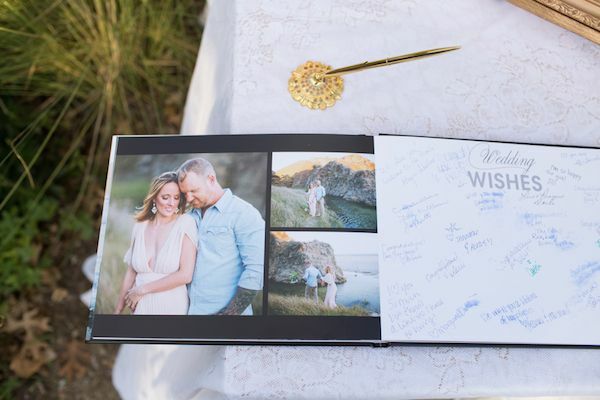 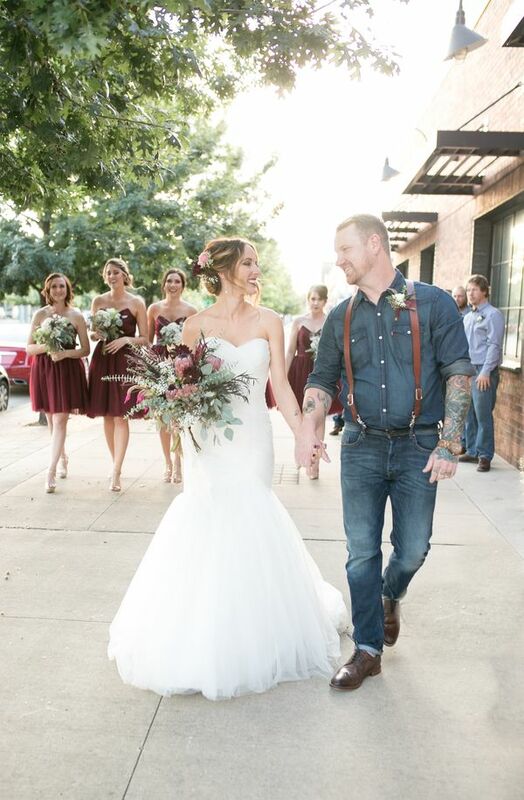 Pretty protea, colorful ceremony seating, and one of the sweetest couples we've seen are some of the reasons why we're so in love with this Oklahoma affair photographed by Jessica Lynn Tucker Photography. 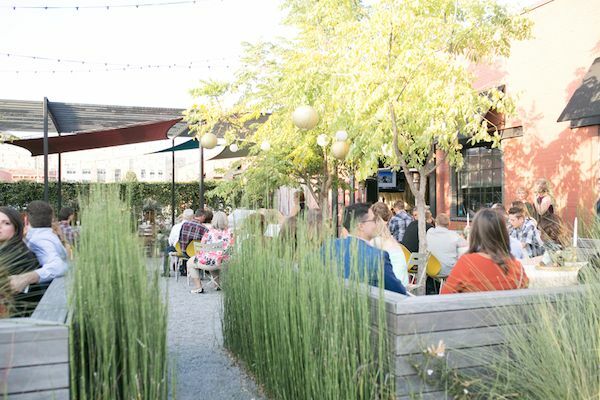 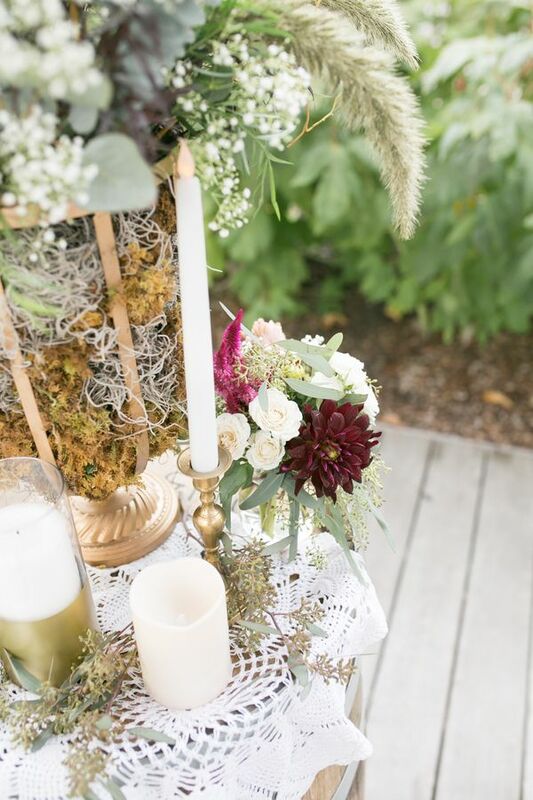 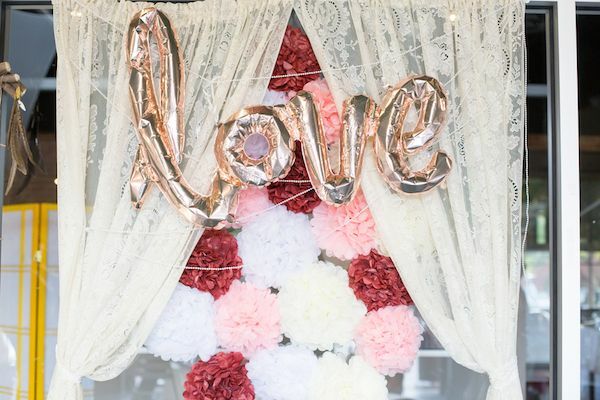 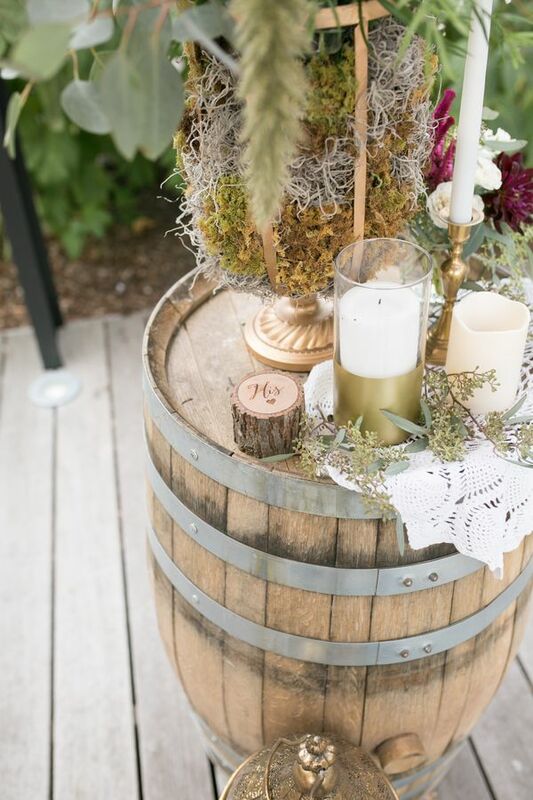 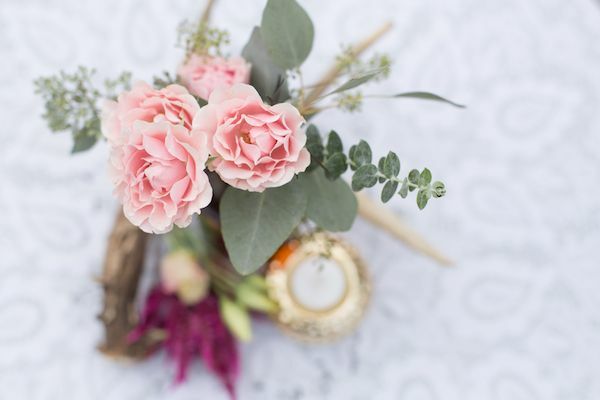 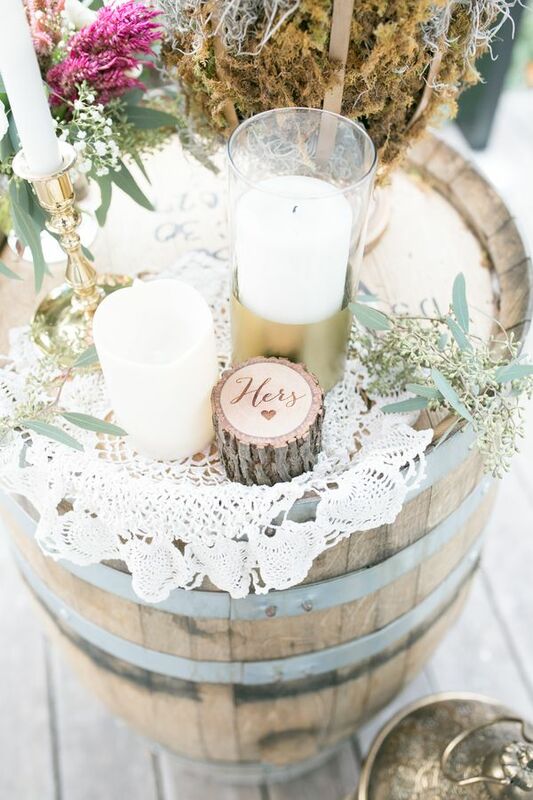 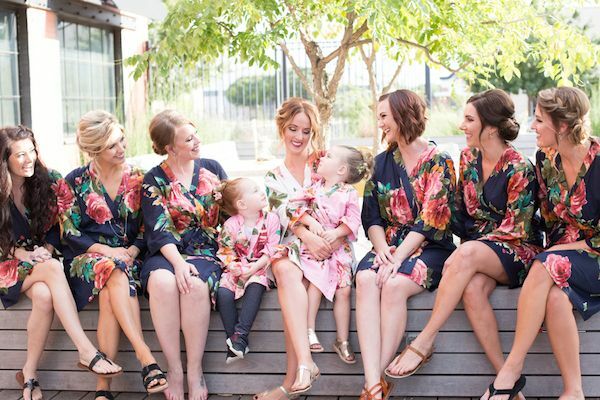 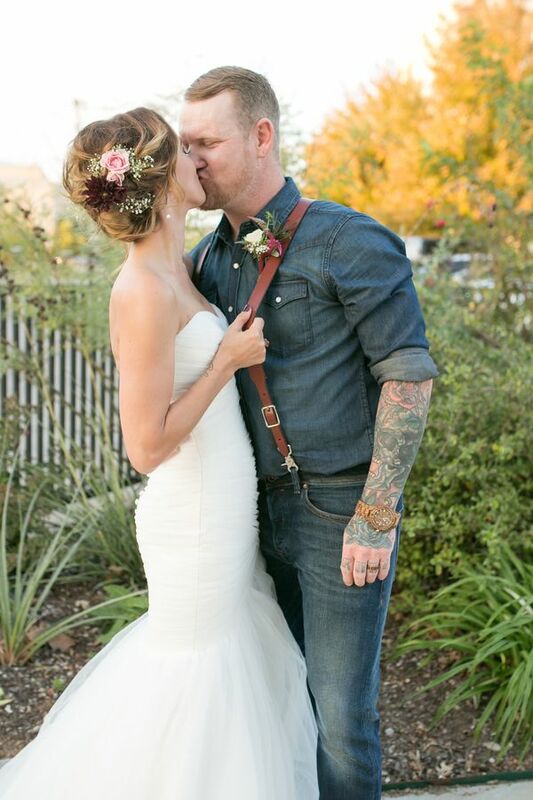 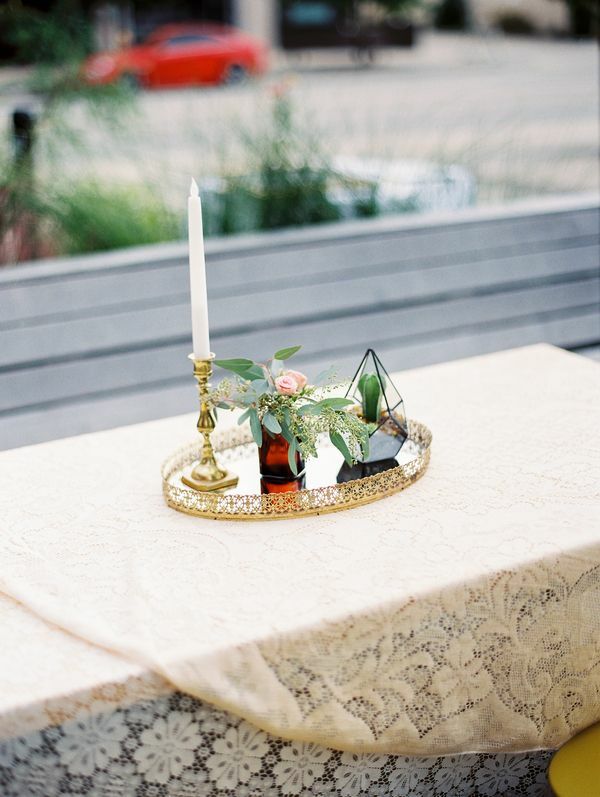 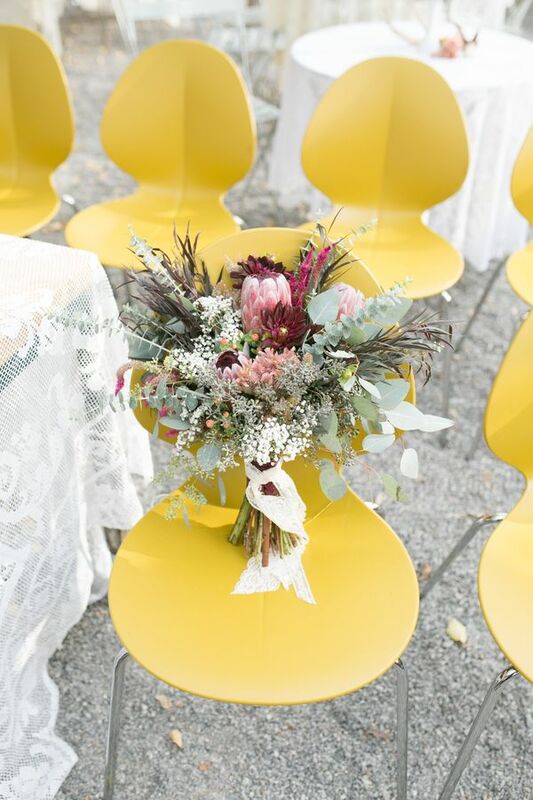 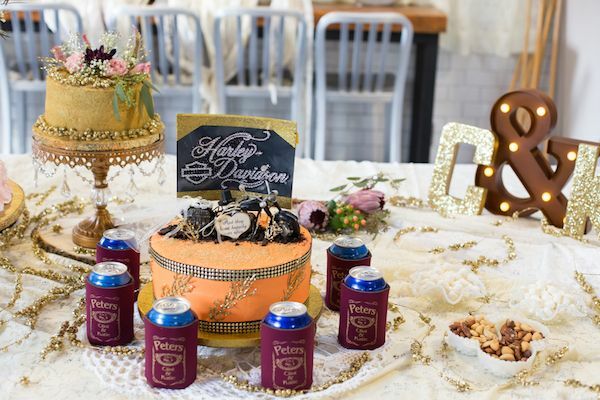 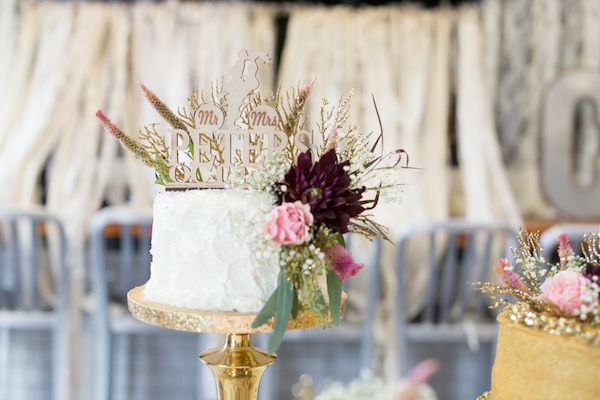 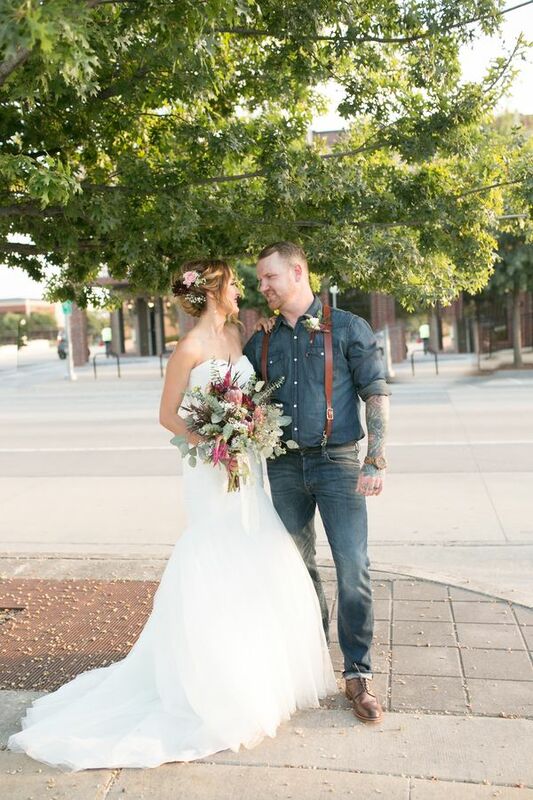 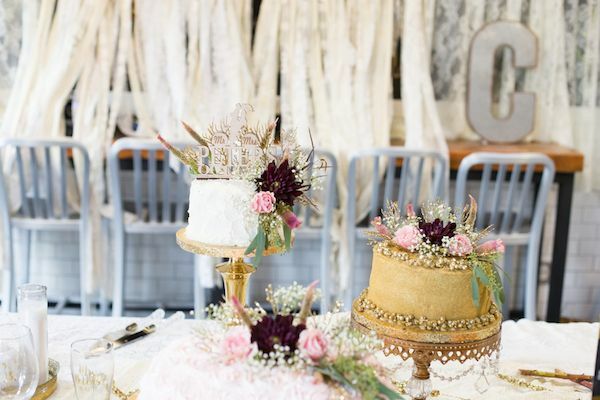 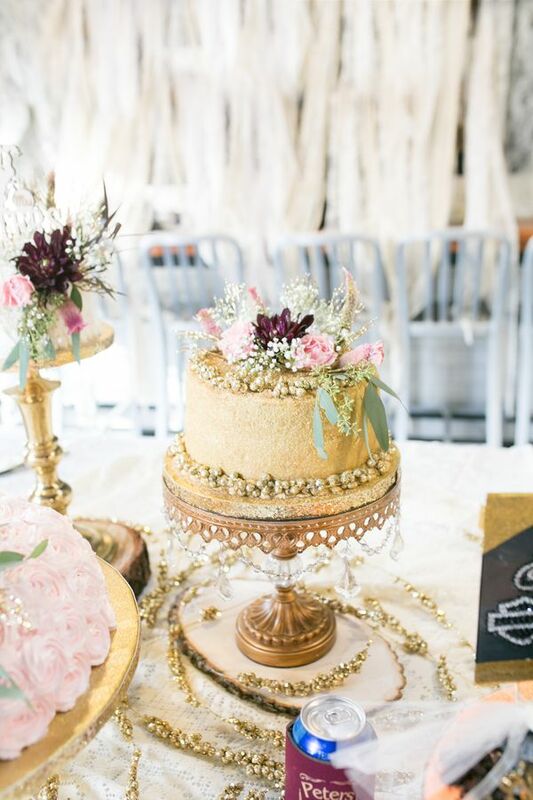 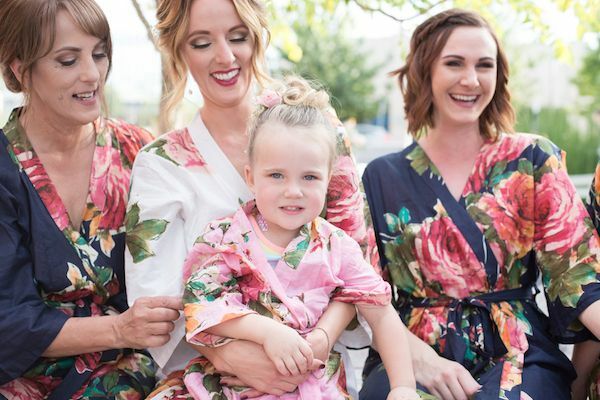 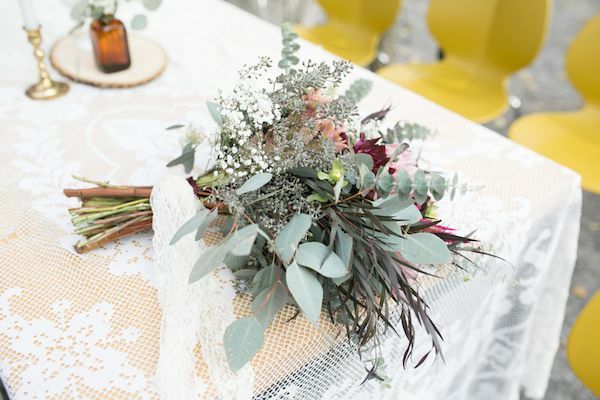 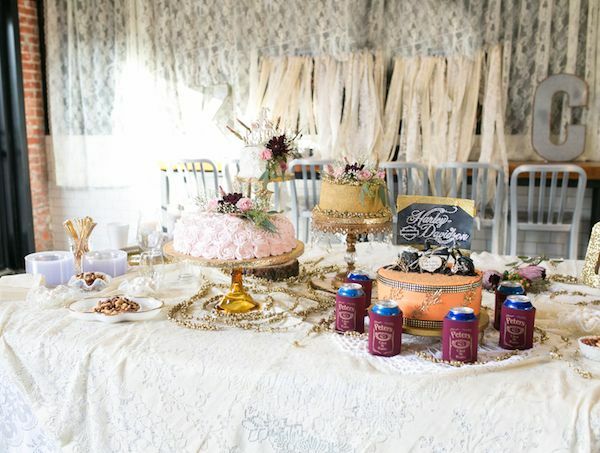 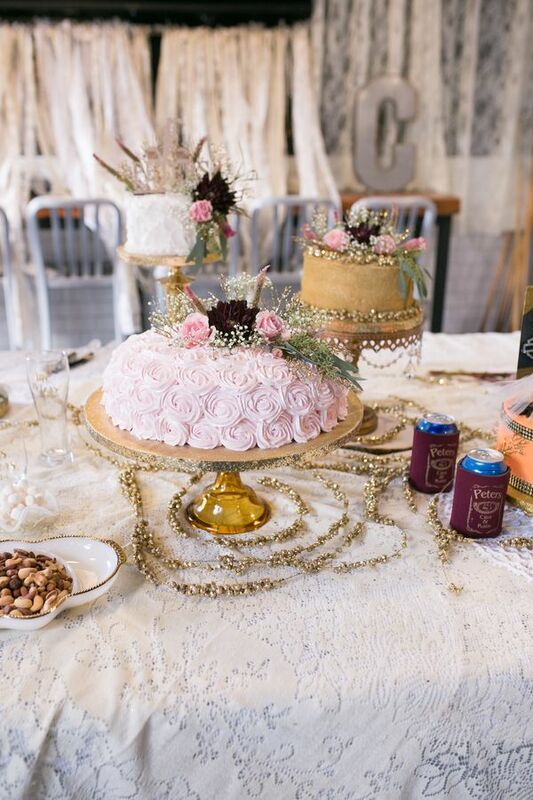 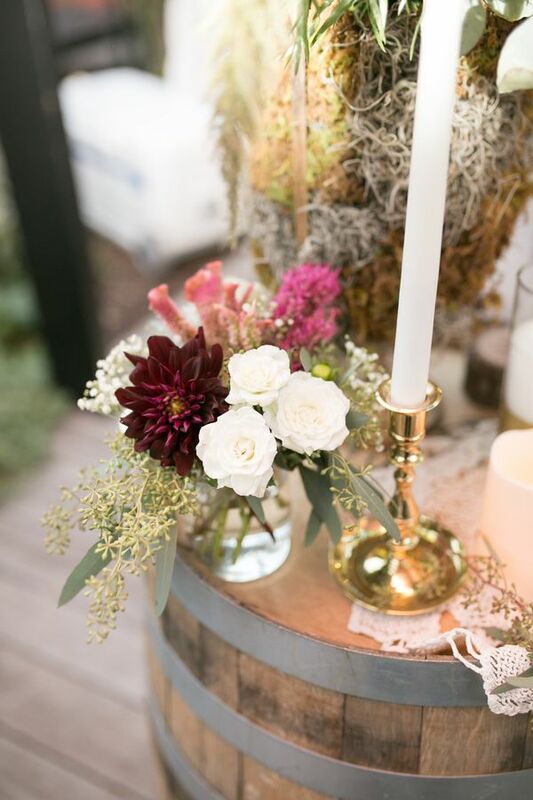 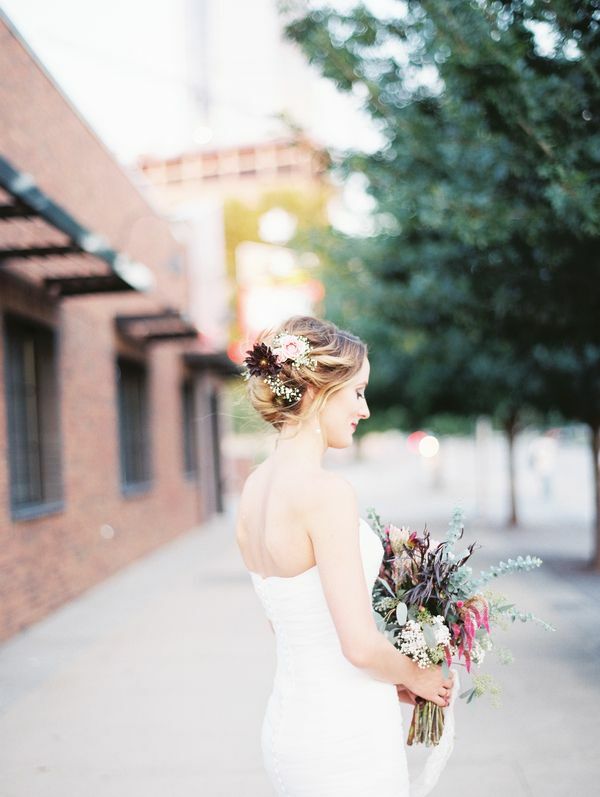 Jessi James of Redbud Flowers coordinated all of the details of the day, Katie and Clint planned a bohemian wedding day with the richest, most elegant color palette. 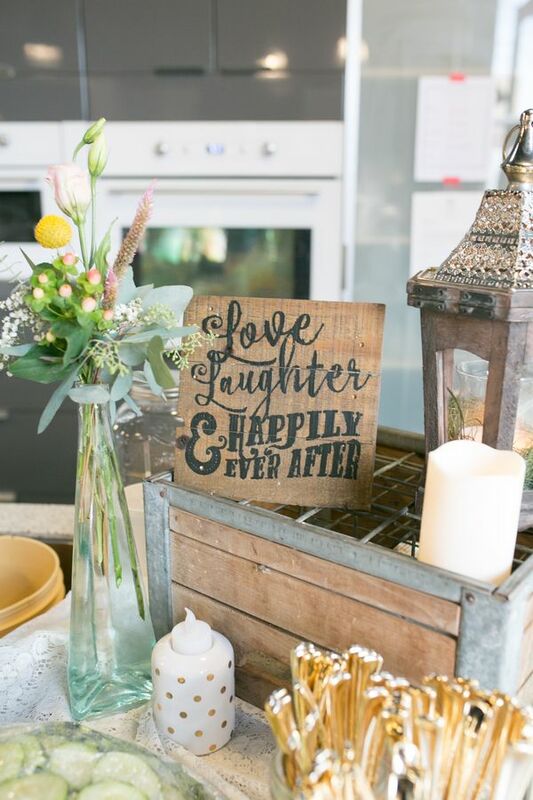 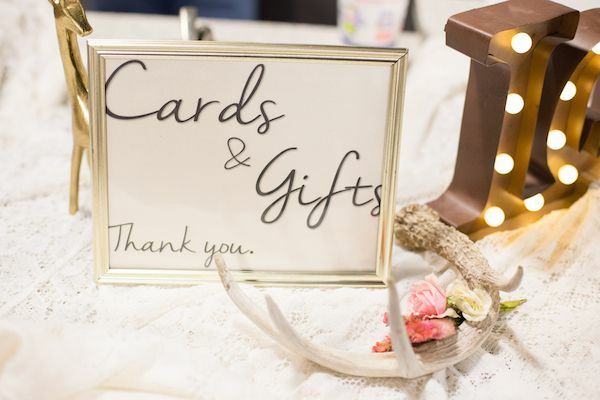 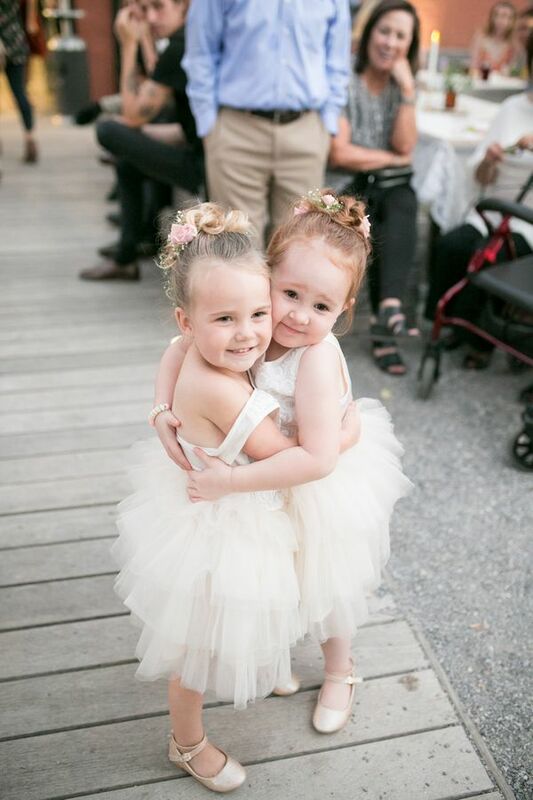 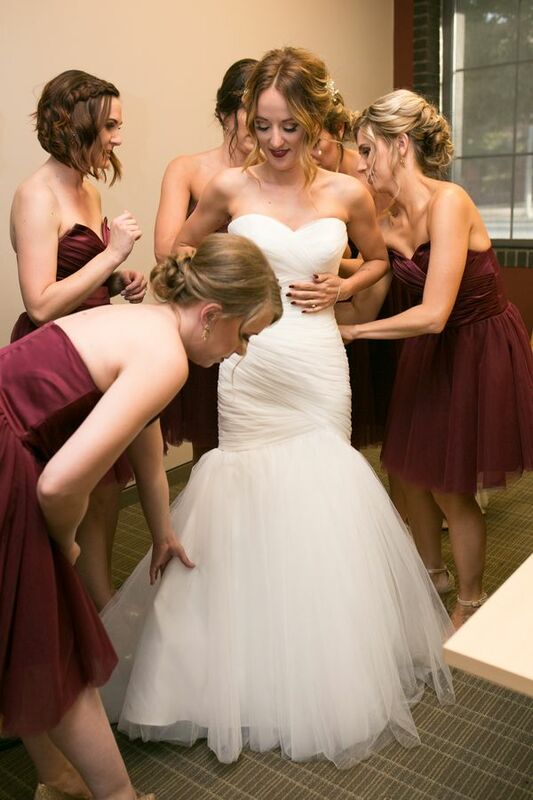 From the photographer, "I adore photographing intimate weddings full of family, friends, and lots of laughs and love! 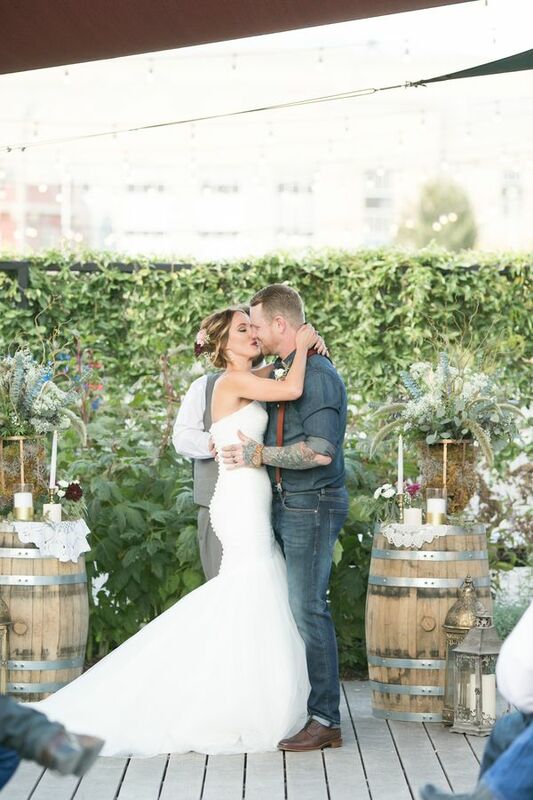 It is a true honor to witness these special moments." 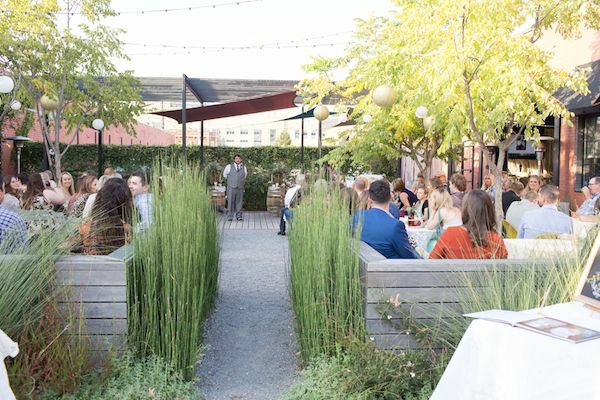 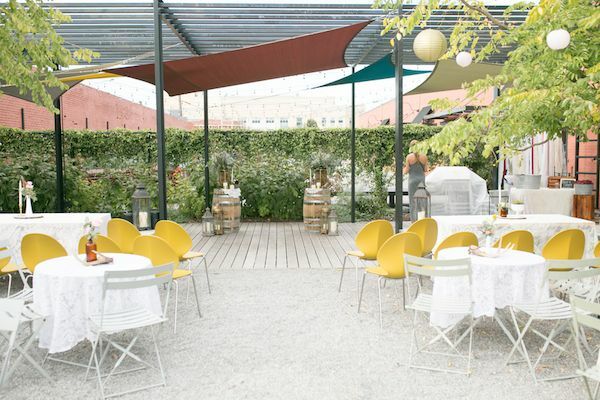 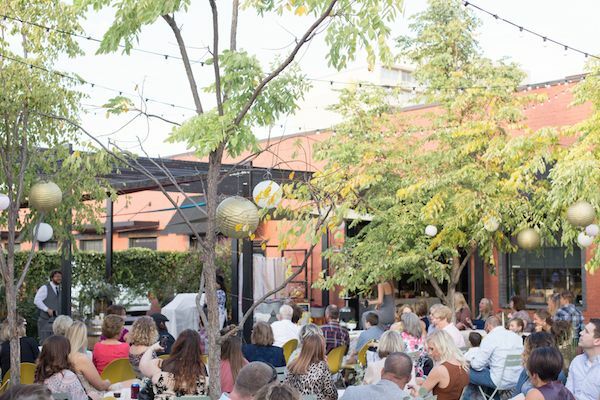 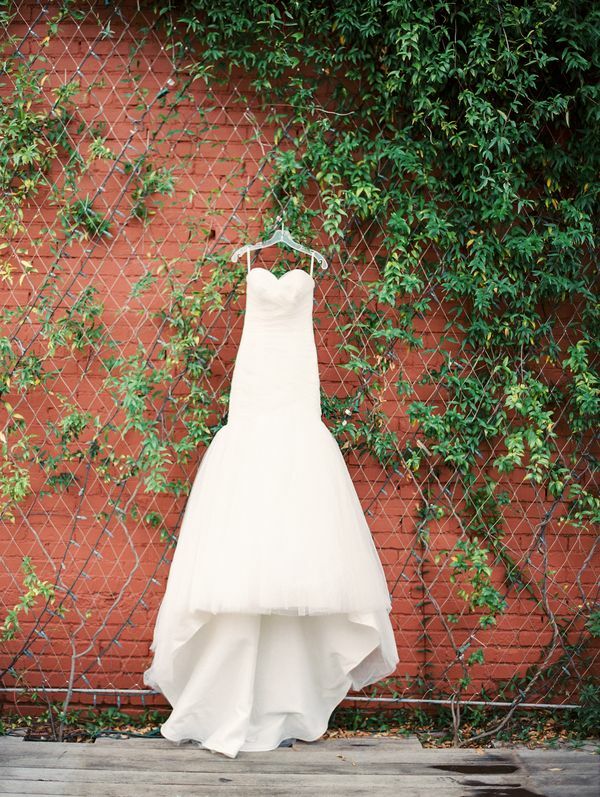 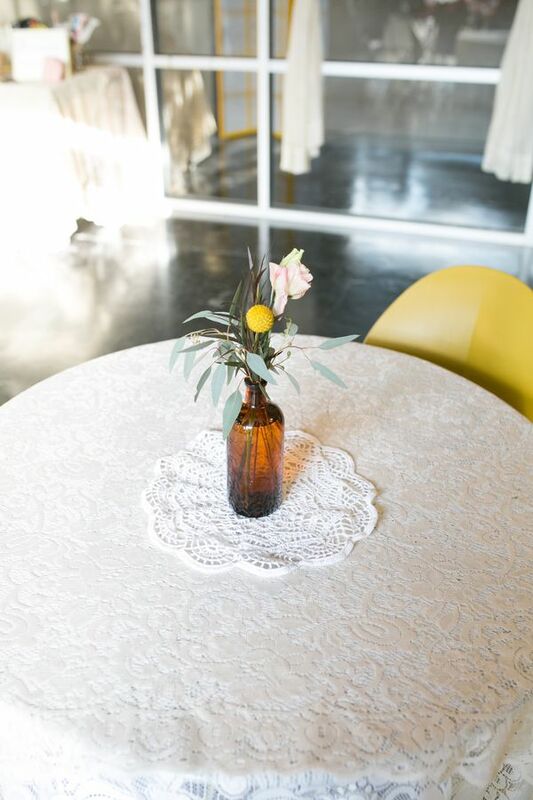 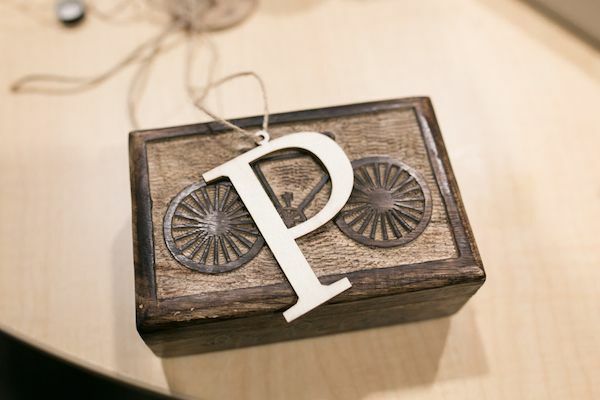 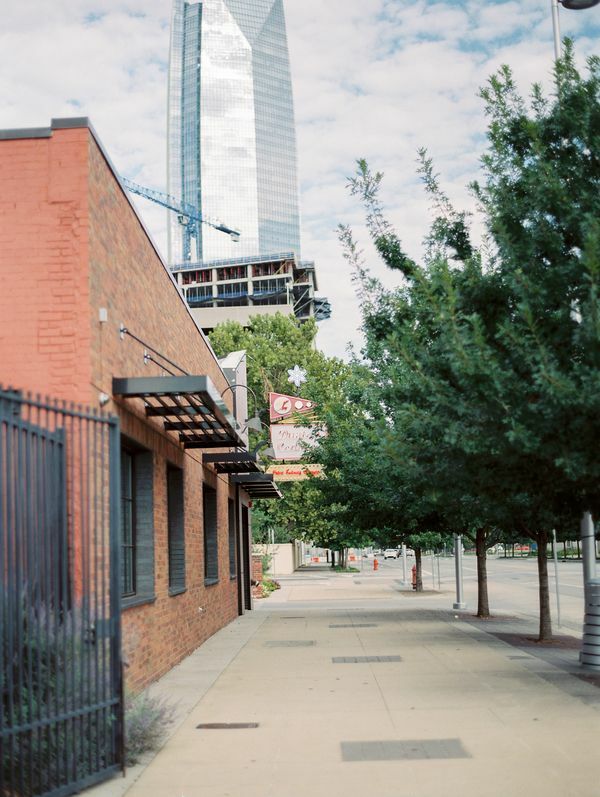 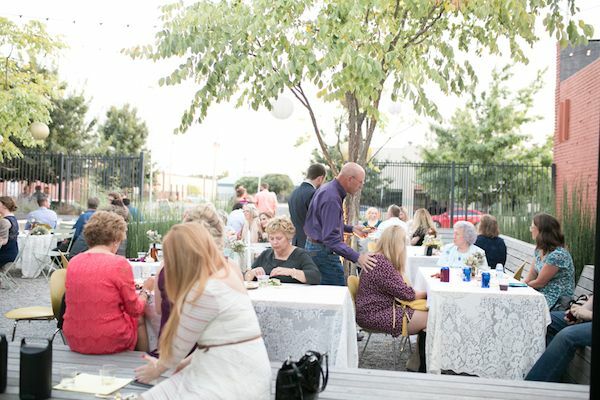 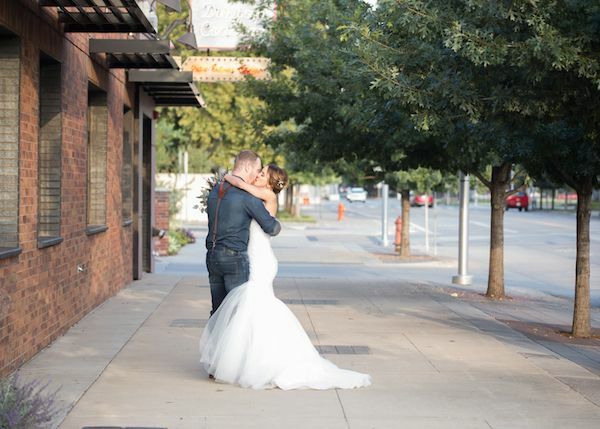 "The venue was the perfect backdrop for this wedding. 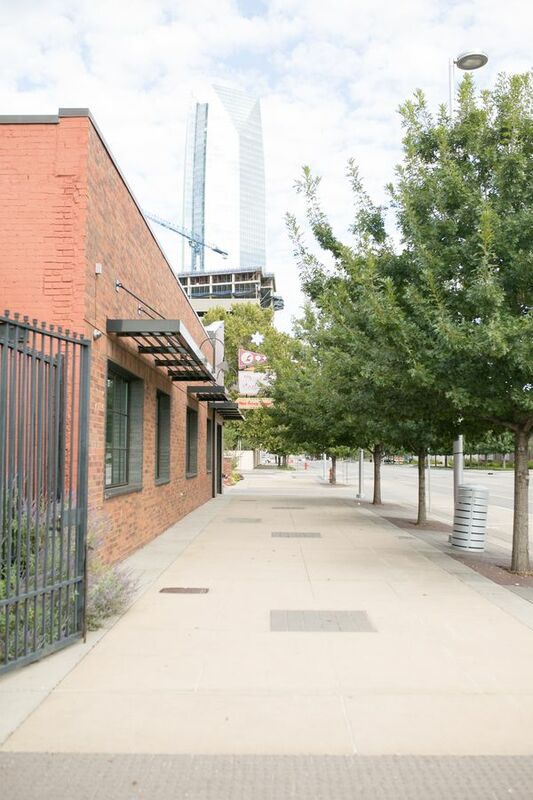 A little urban garden outside the Dunlap Coding's Garden building on the historic film row street in downtown Oklahoma City." 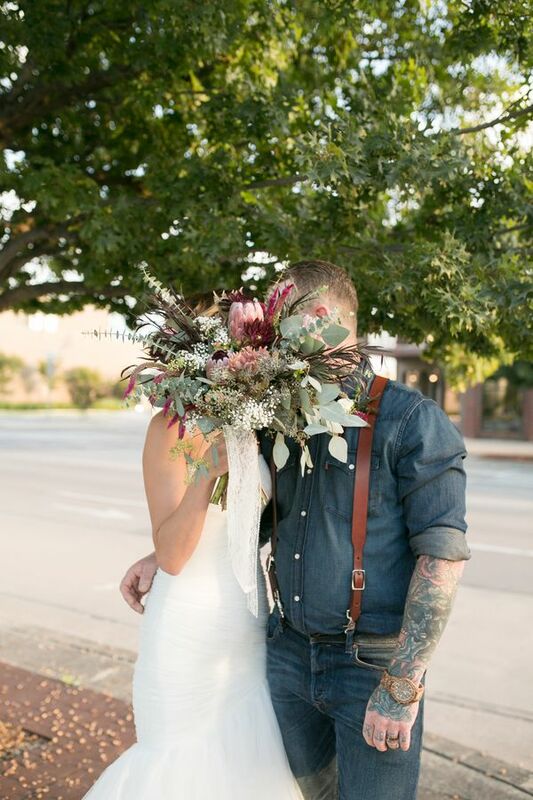 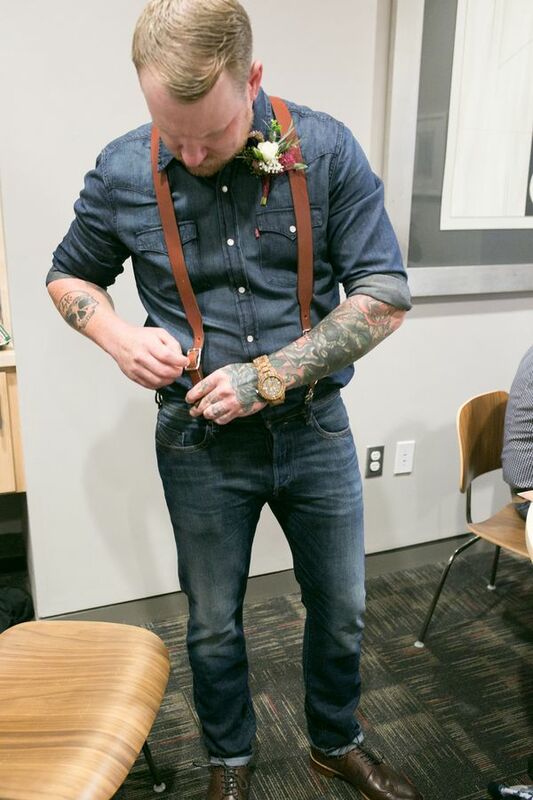 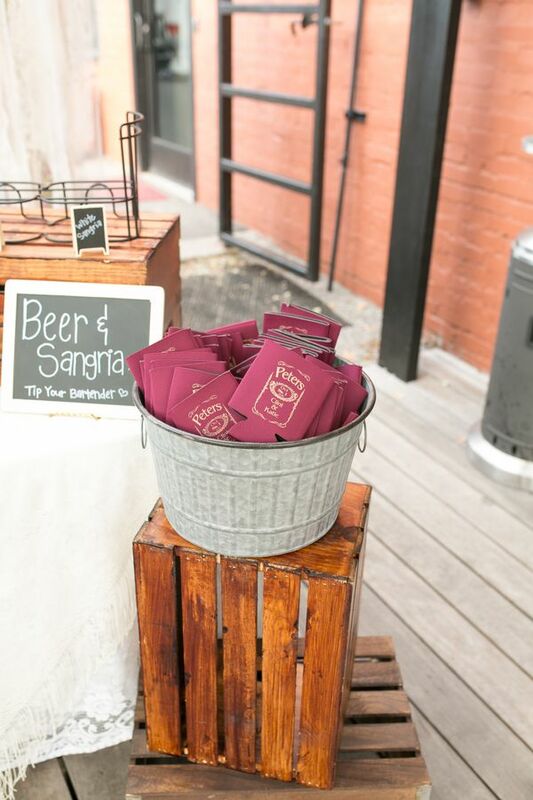 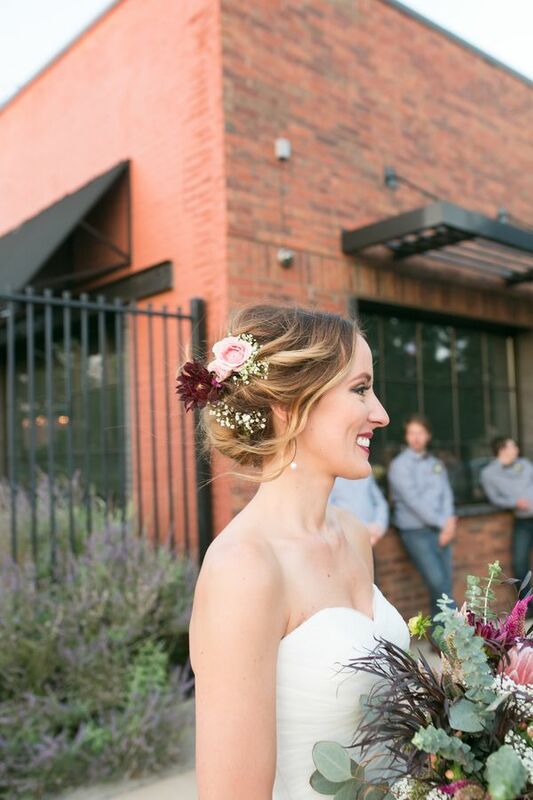 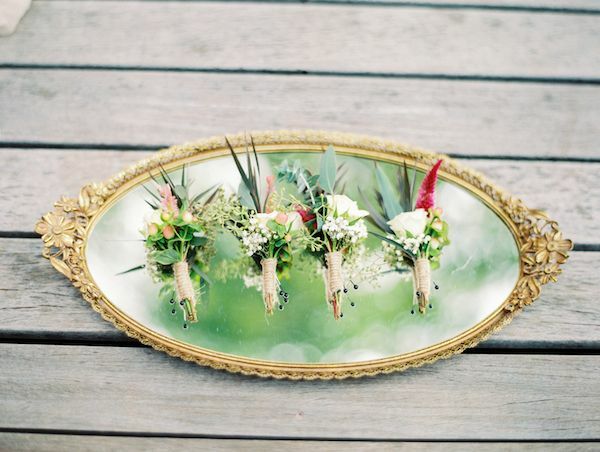 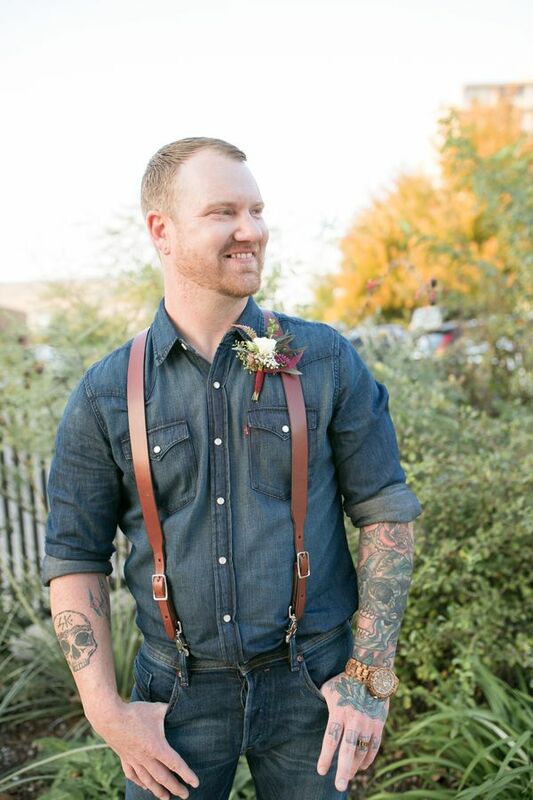 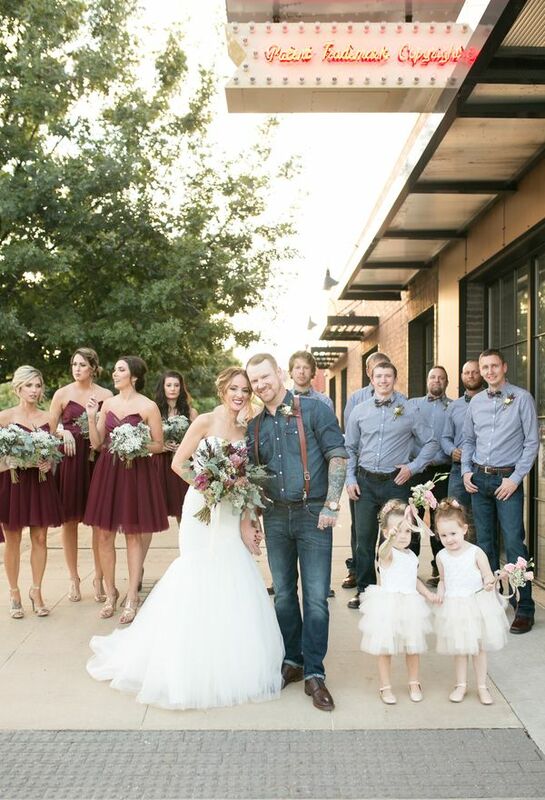 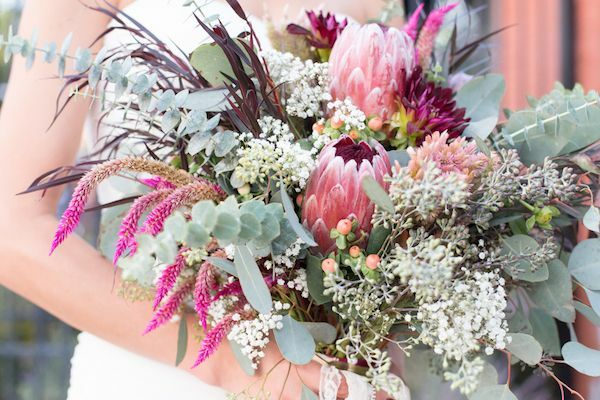 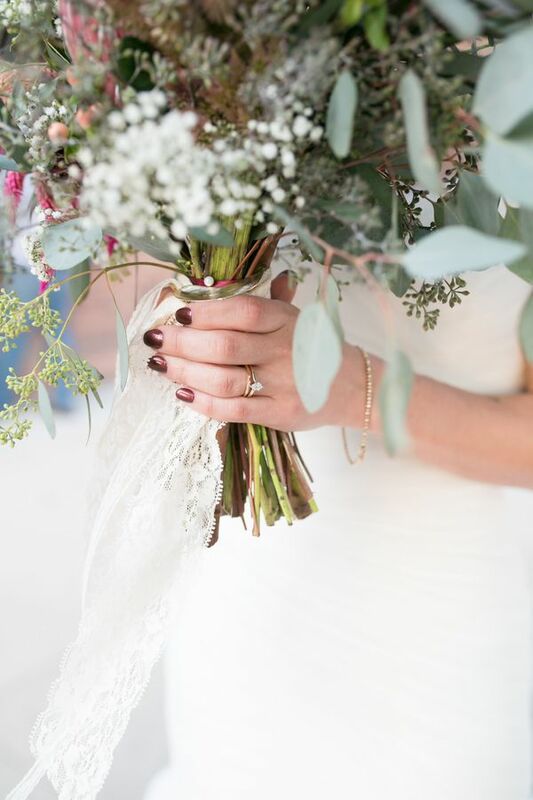 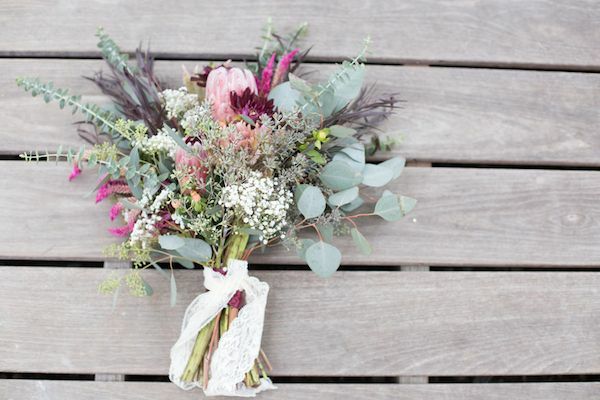 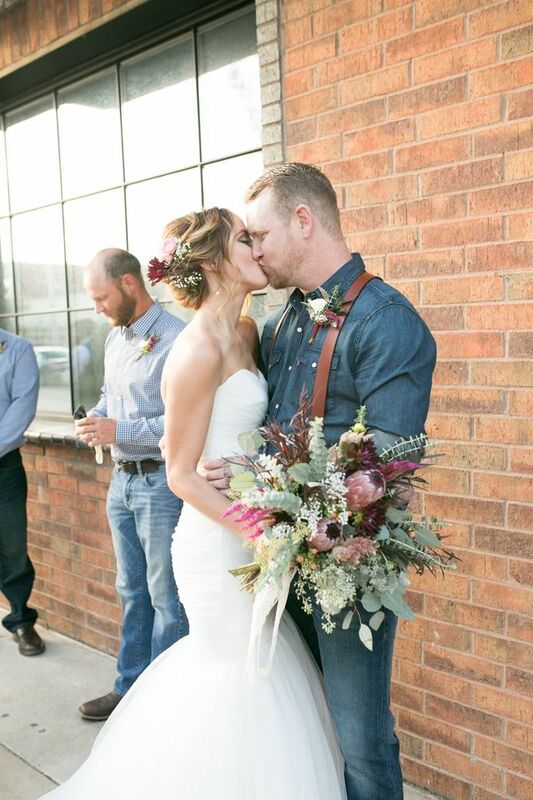 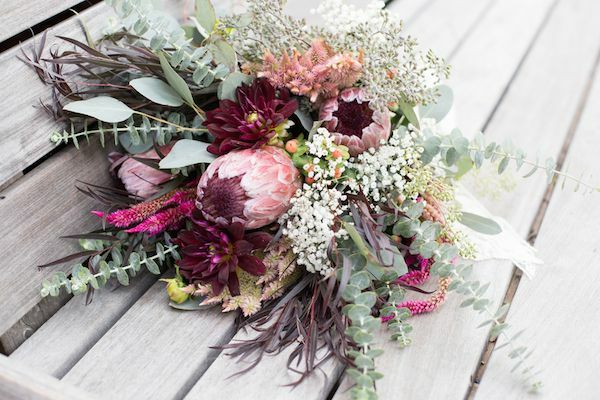 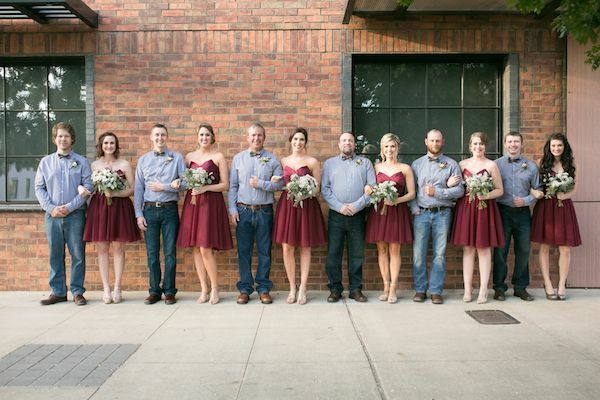 "The colors are rich and vibrant with the marsala colored bouquets and boutonnieres." 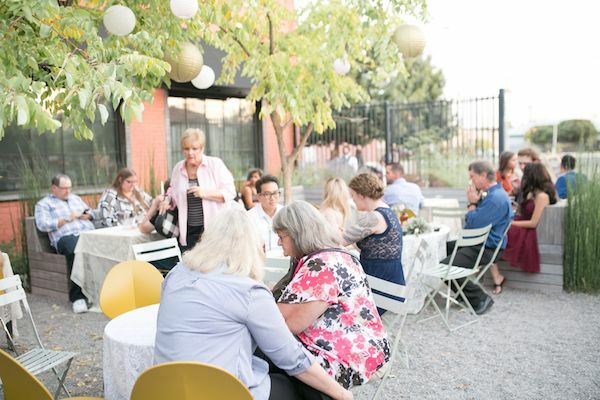 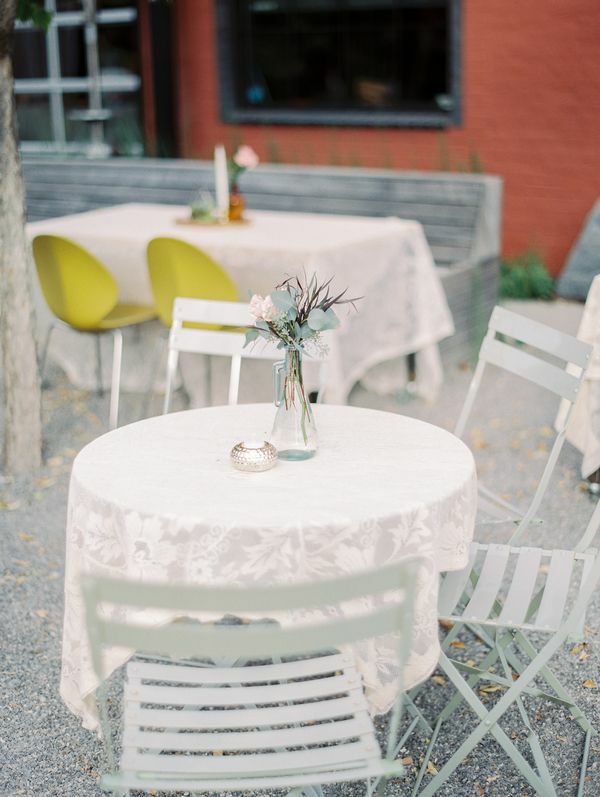 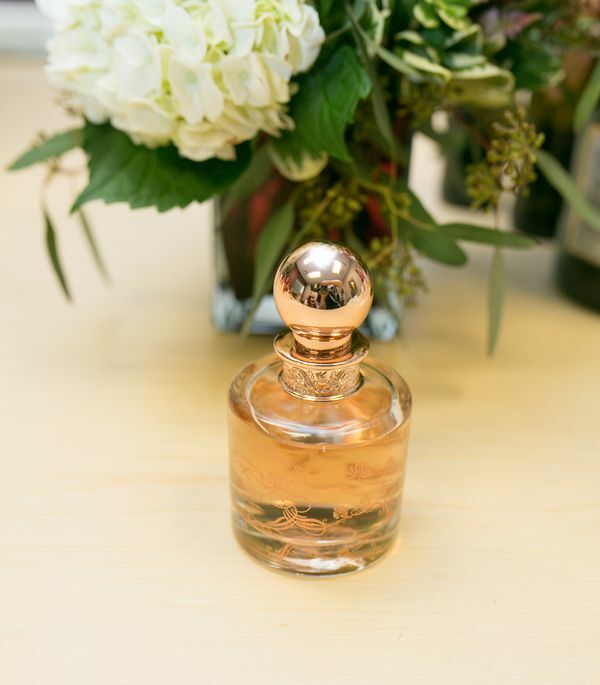 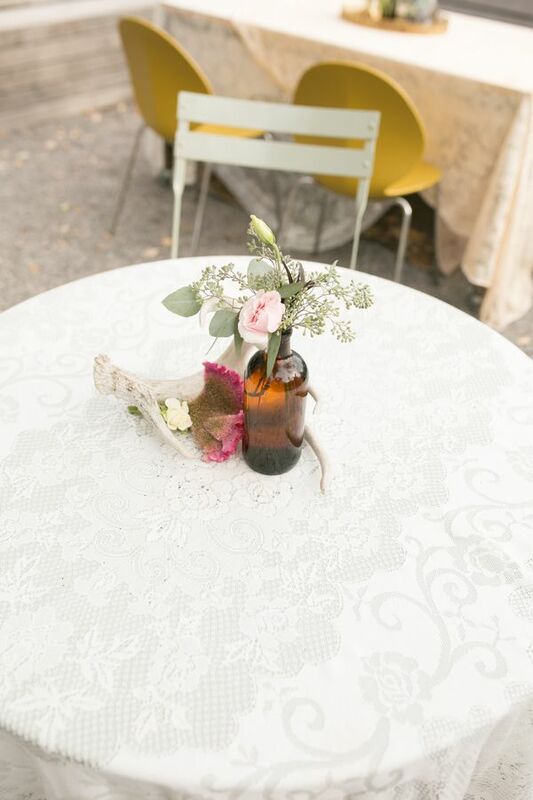 "The cutest vases adorn the cutest bistro tables under the gorgeous trees.Cheers to the amazing creative team that helped stylize this wedding to perfection!" 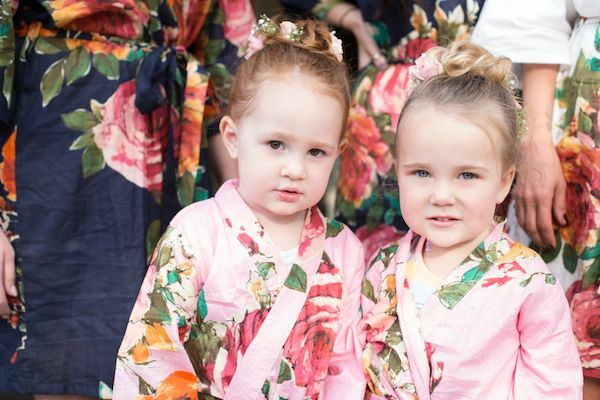 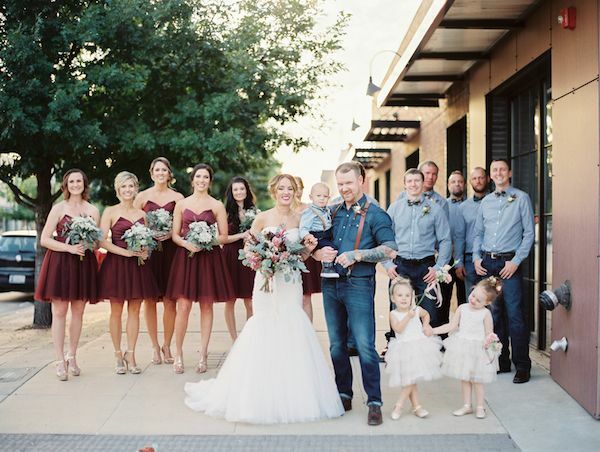 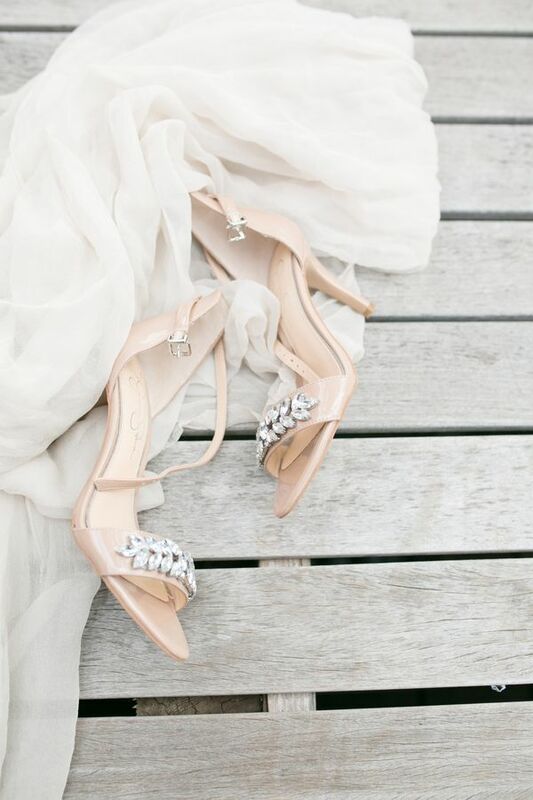 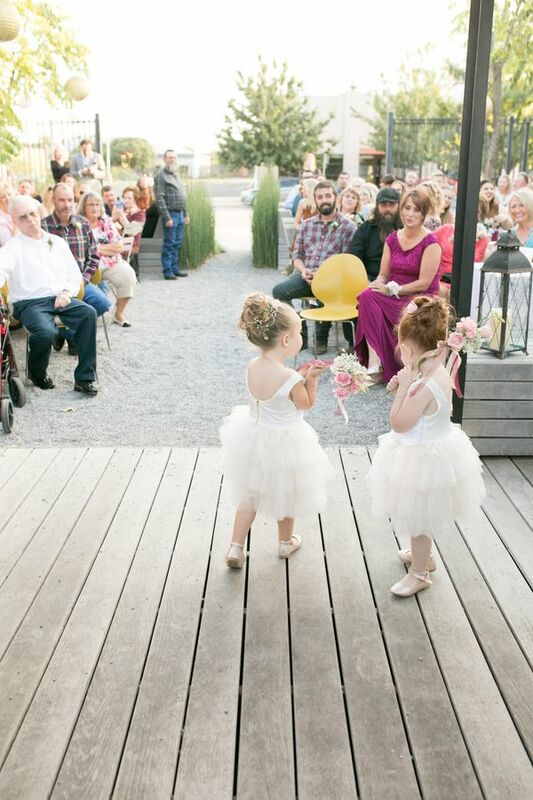 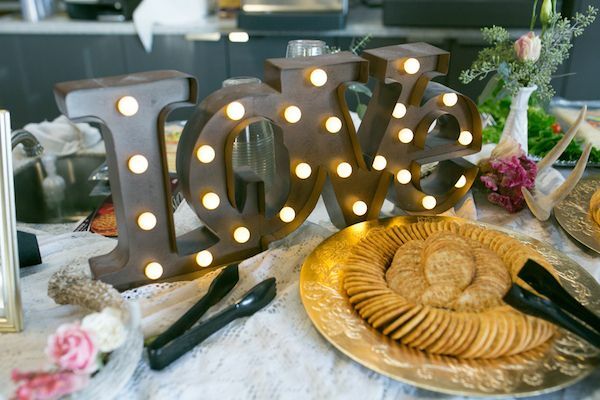 So much to swoon over in this wedding! 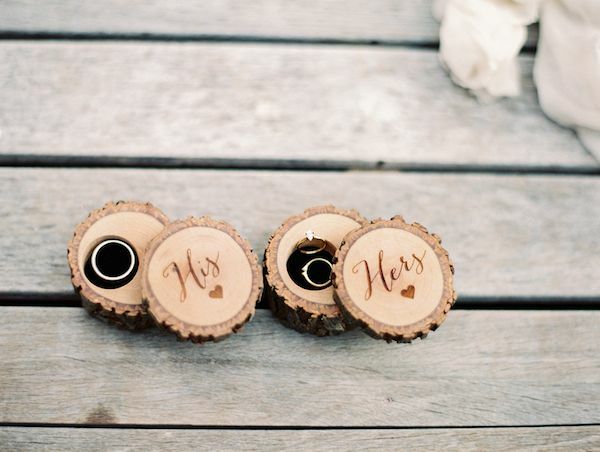 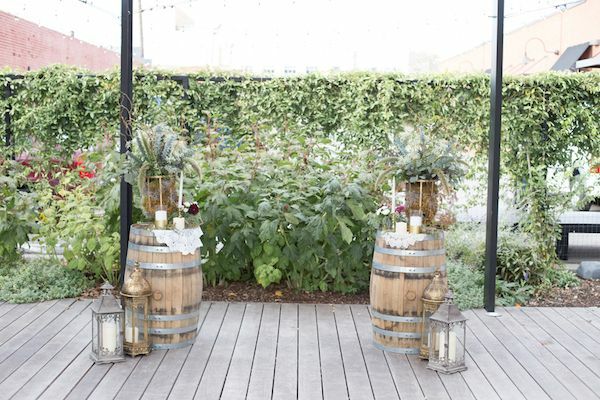 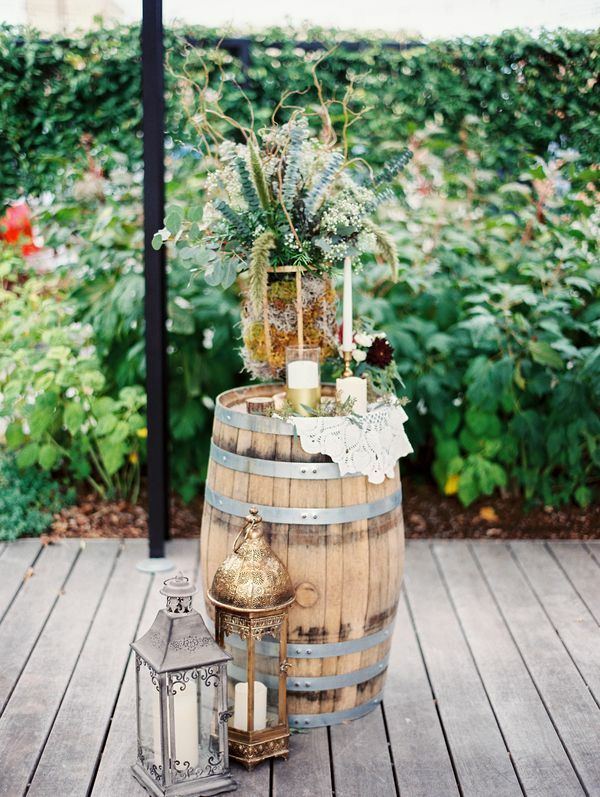 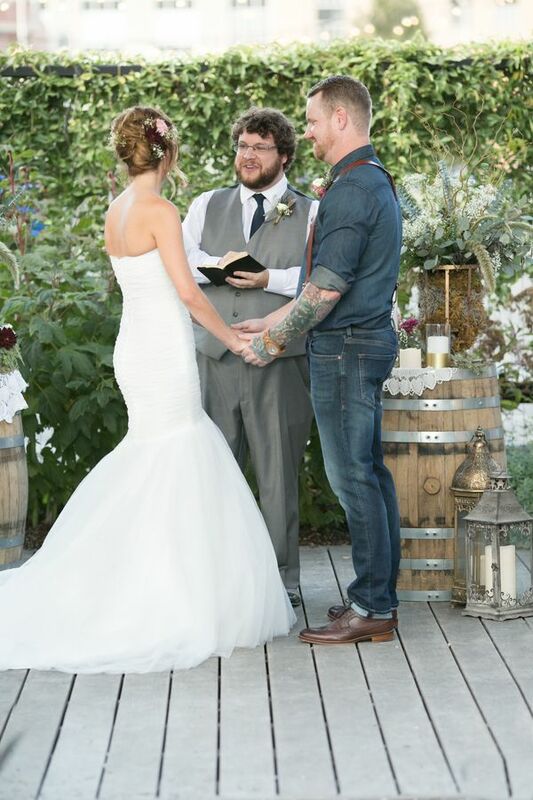 We're espeically loving this edgy ceremony space! 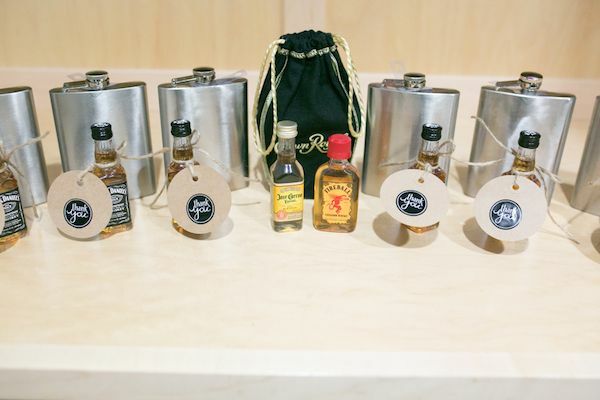 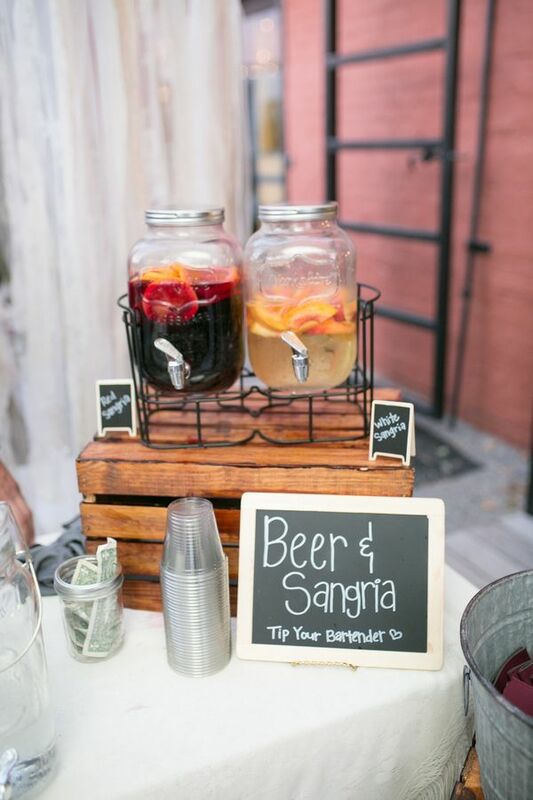 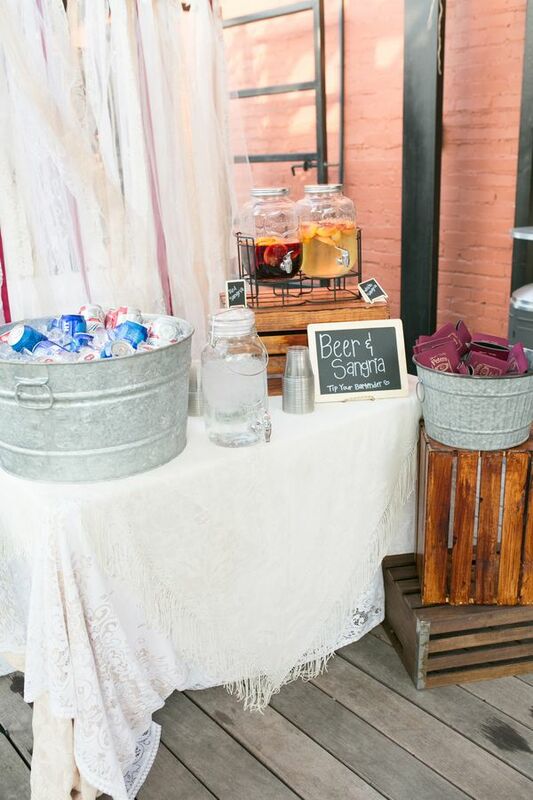 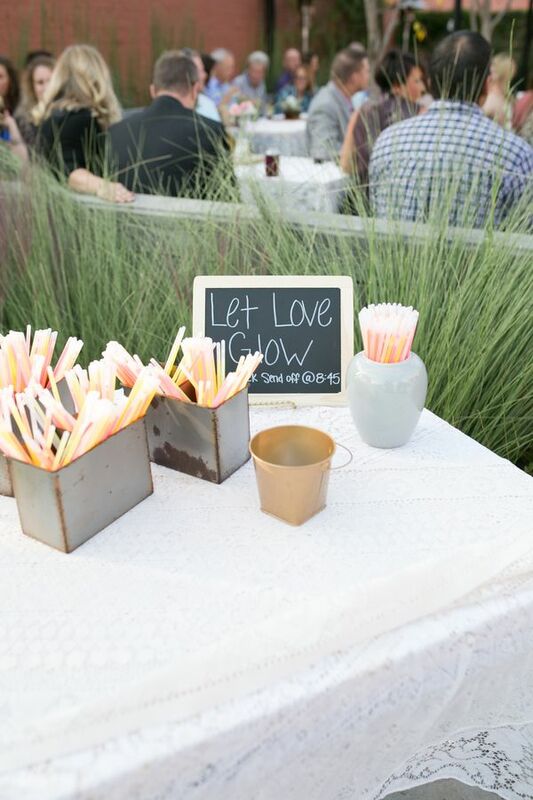 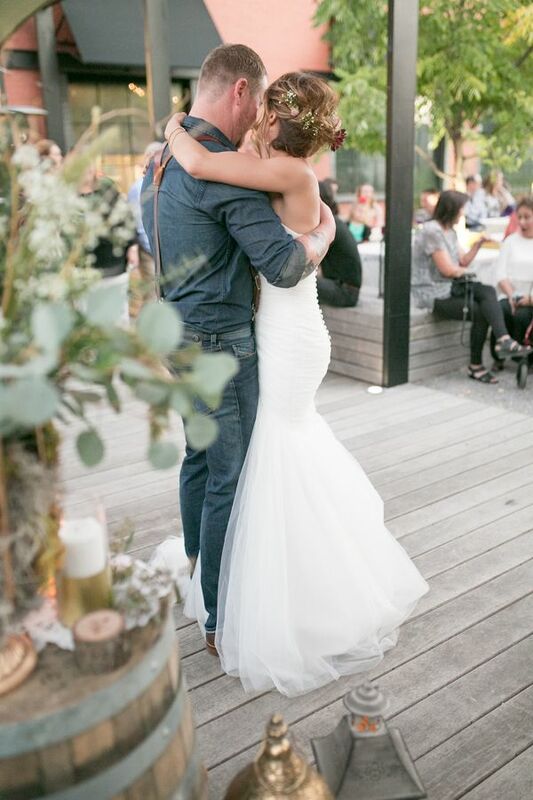 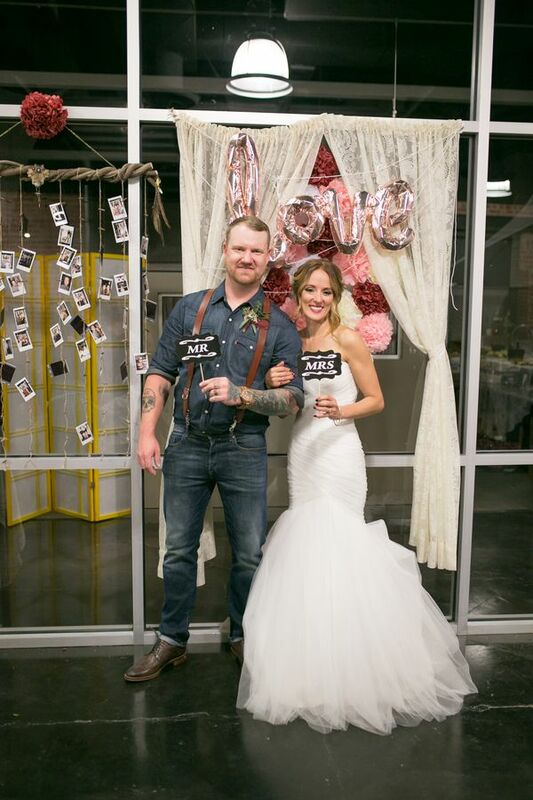 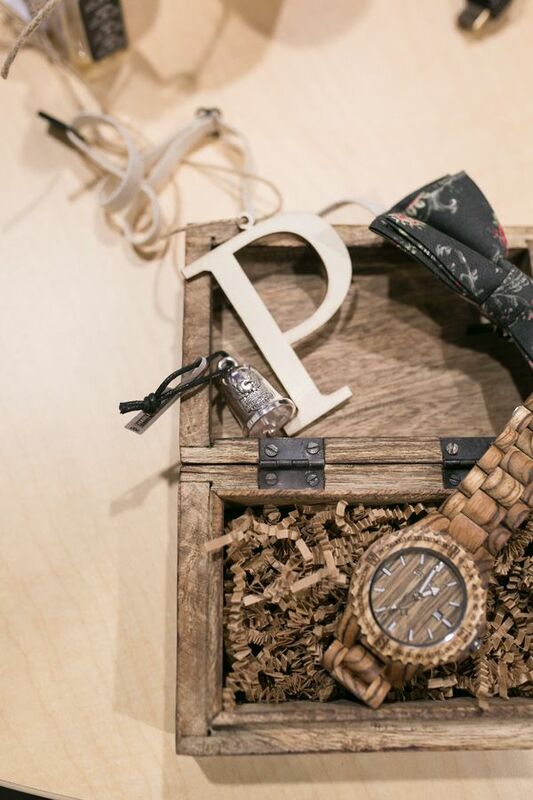 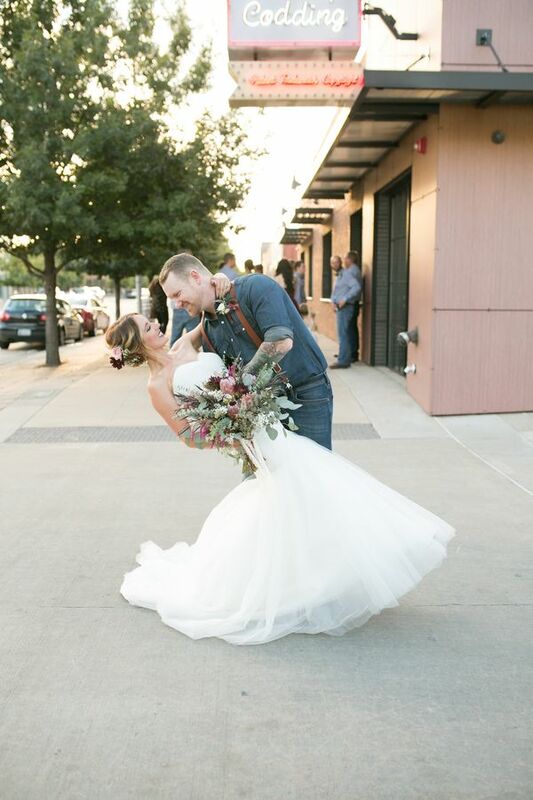 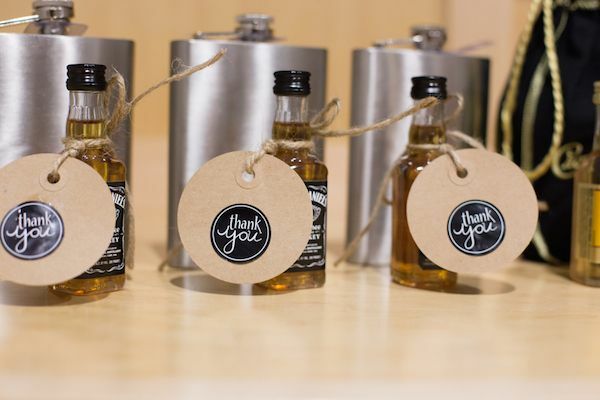 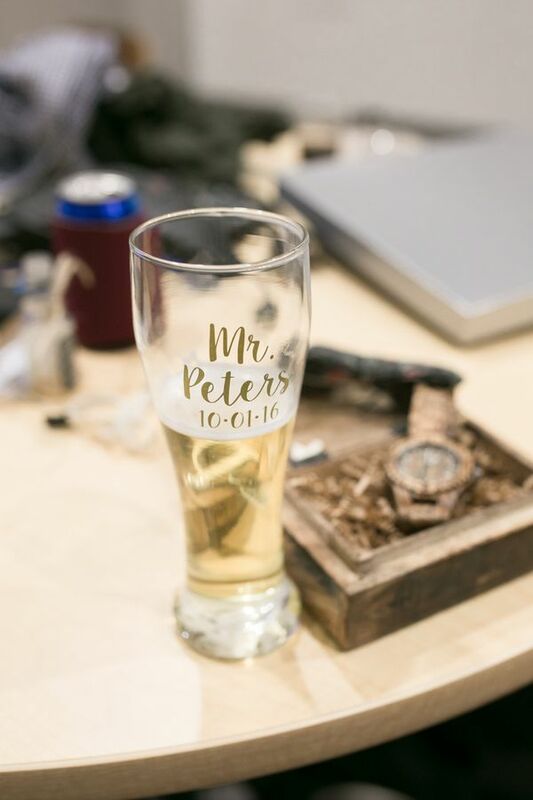 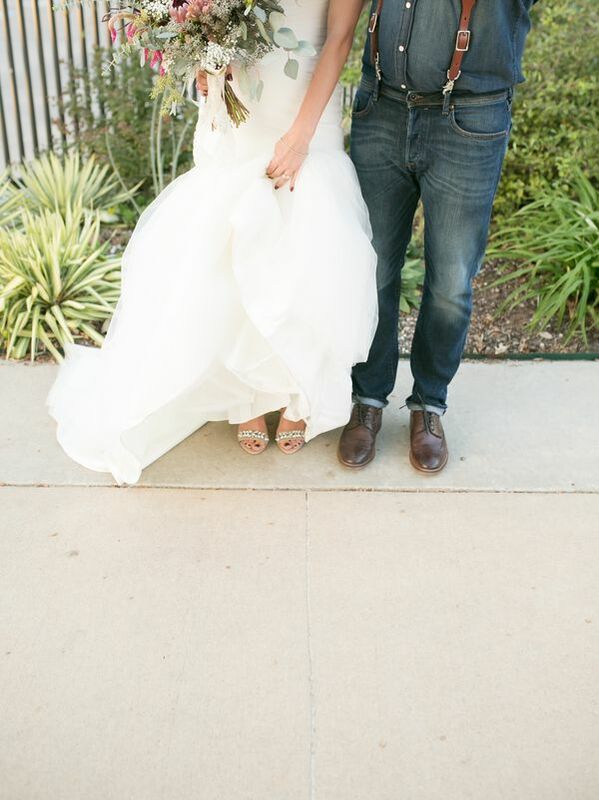 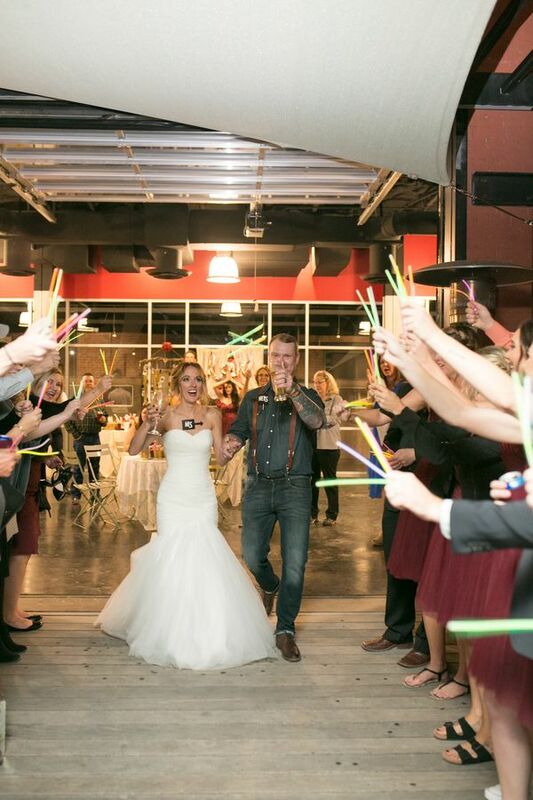 Cheers to these sweet newlyweds! 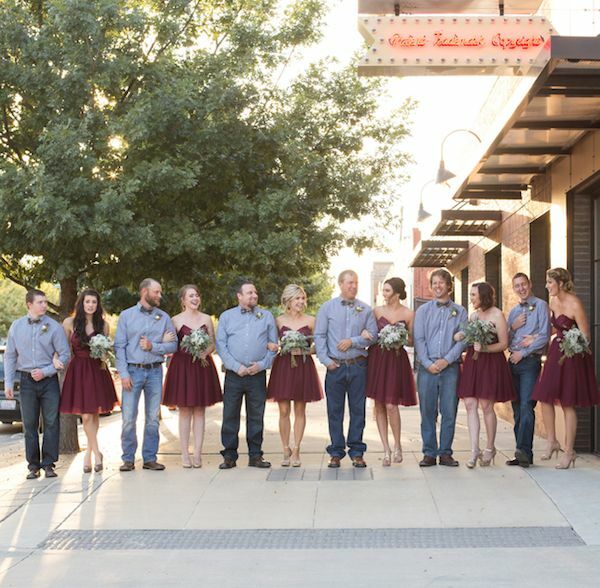 And cheers to this talented team of pros who helped bring it all to life! 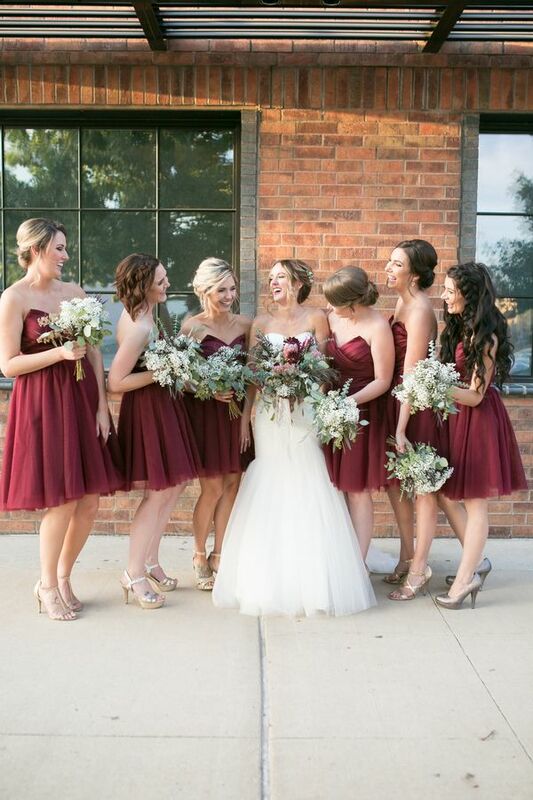 4 Comments " Downtown Urban Garden Wedding "
Shades of red as Burgundy and Pink are a stunning combination for fall weddings, this color make me feel pure love, and accents of gold, what a great combo! 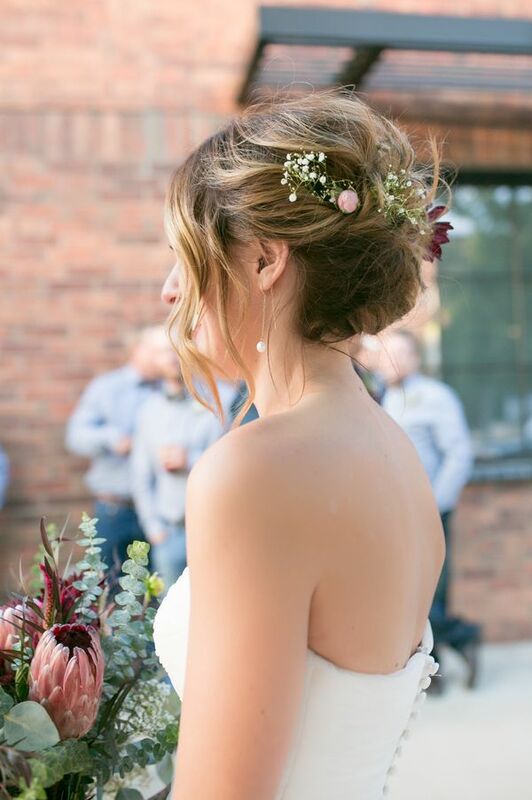 Great work, thanks for sharing such a beautiful job!! 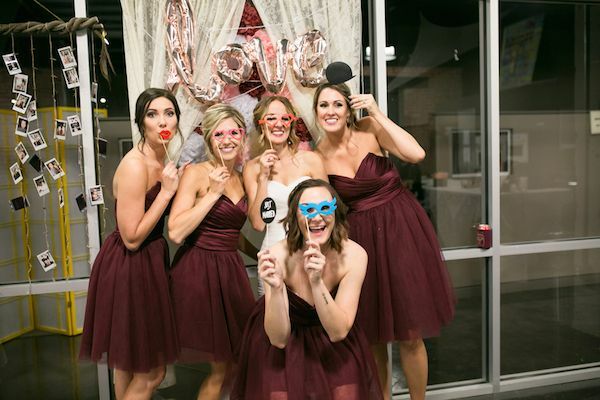 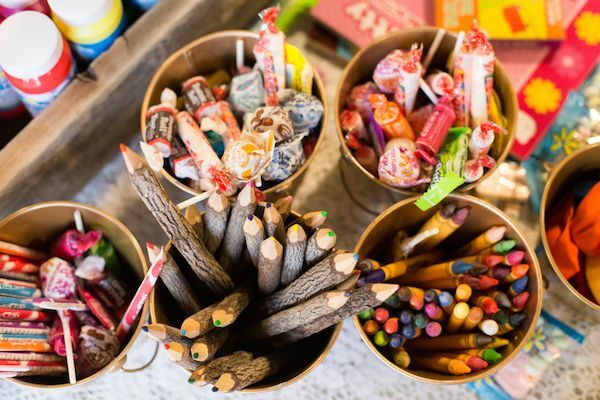 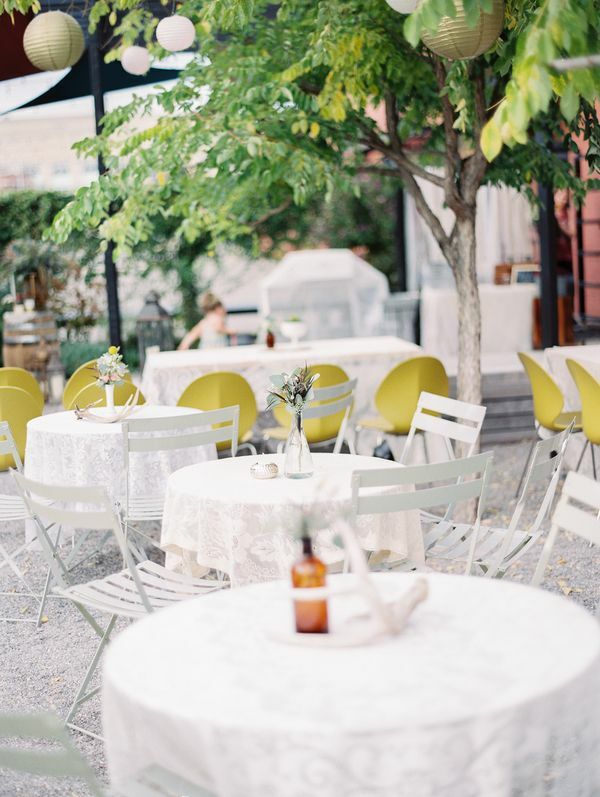 You should see this amazing website, you'll find tons of incredible photos and wedding ideas!